Mommy wants to thank Madison and Jack for what they gave today. In the craziness that goes on in Mommy’s head, many many things were booked all in one day- and both Madi and Jack went along for the ride and were amazing little people! Jack and Mommy dropped Madi at school bright and early and then headed to the local church for baby drop in play. It was then time to pick up some birthday gifts for a couple of special little boys upcoming birthday parties! 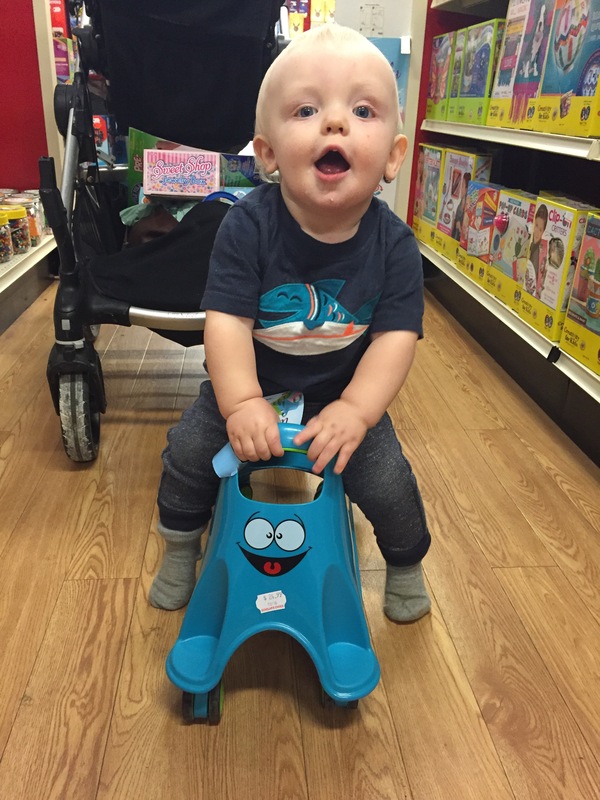 Jack was a huge help picking out fun things! It was then time to head to Grandview for a joint physio session. 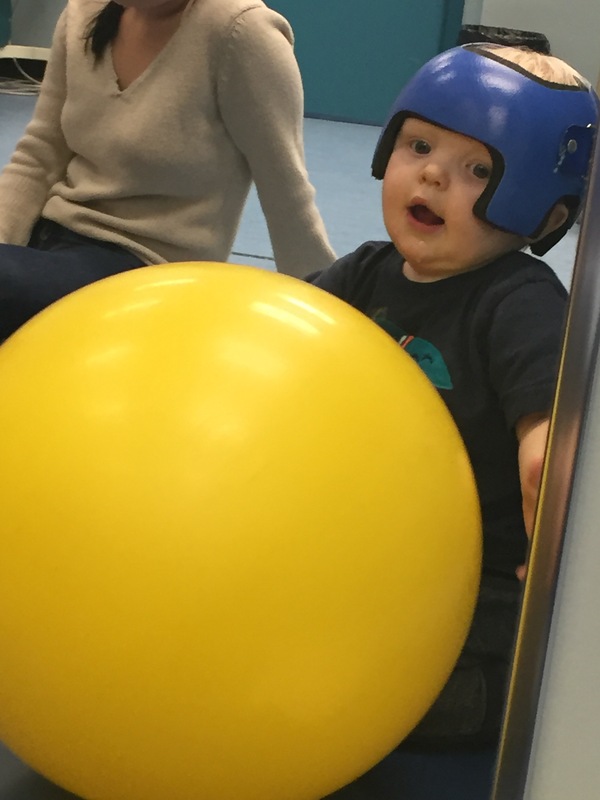 Madi helped Jack get through his stretches & screaming while Jack helped Madi test all her toys to make sure they tasted good. 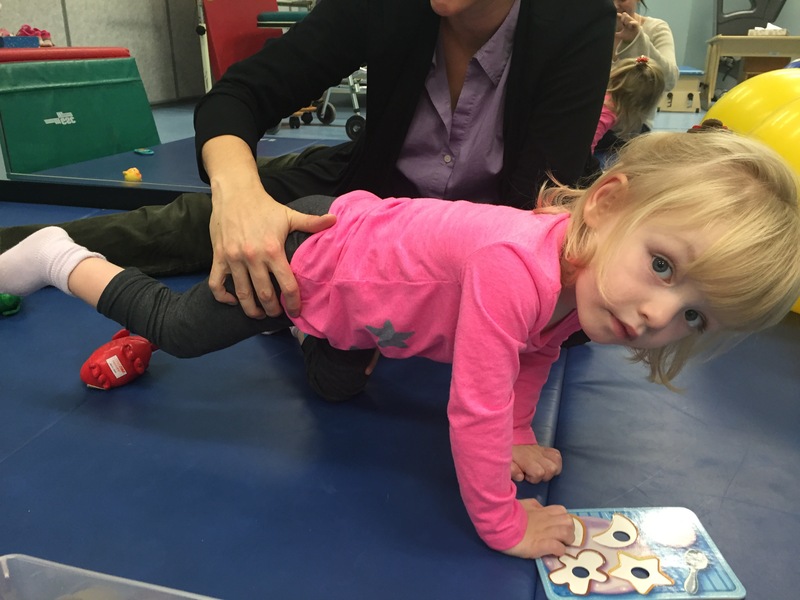 Madi did multiple exercises today to strengthen her “walking” muscles and everyone noticed a significant improvement in her control and mobility with the exercises compared to a few weeks ago. Her next (and hopefully last) Botox session was booked, pre-surgery physio sessions booked, re-assessment for Jack booked and catalogue information looked through to start ordering some equipment for the house. 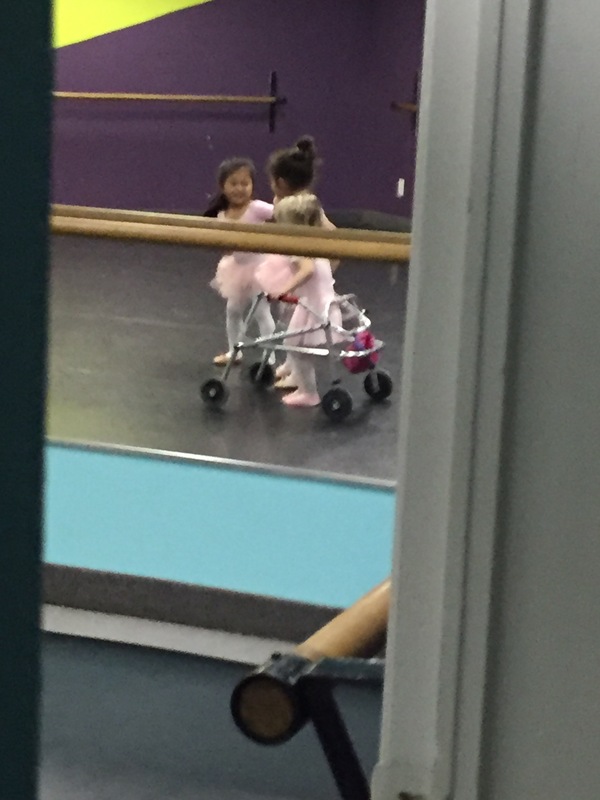 Madison’s new Walker was also confirmed to be delivered late next week! It will be sad to say goodbye to her little silver walker that helped to get her mobile and independent but her new one will serve her much better for her next stage of walking. 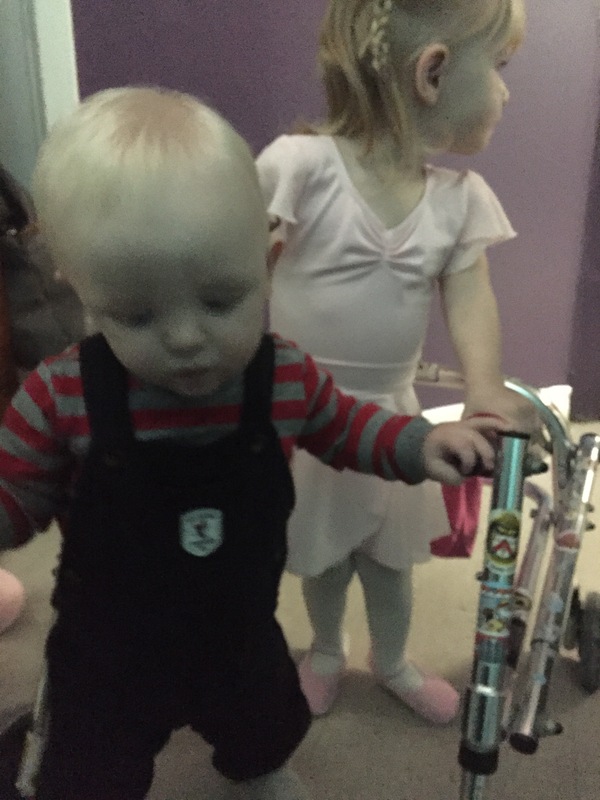 Madi and Jack then helped Mommy drop off forms at their paediatricians. He is helping to sign Madi’s out of country OHIP forms to try for approval of some of the surgery cost. Once he completes the forms, everything will be sent to OHIP- fingers crossed! After a quick play at home it was time for ballet! Madison let go of her walker several times to try lifting her arms in the air and turn. She was so proud of herself! Jack watched with all the other brothers at the door. The last stop of the day was with Shannon for a massage. Jack was a bit fussy but got a good release. Madison did a great job breathing through the tenderness and had her IT bands taped for hip support. Both kiddos passed out on the way home and went straight to bed! Thank you to everyone for sharing Madison’s story, making a donation or helping to spread the word! Today we passed the $30,000 mark! 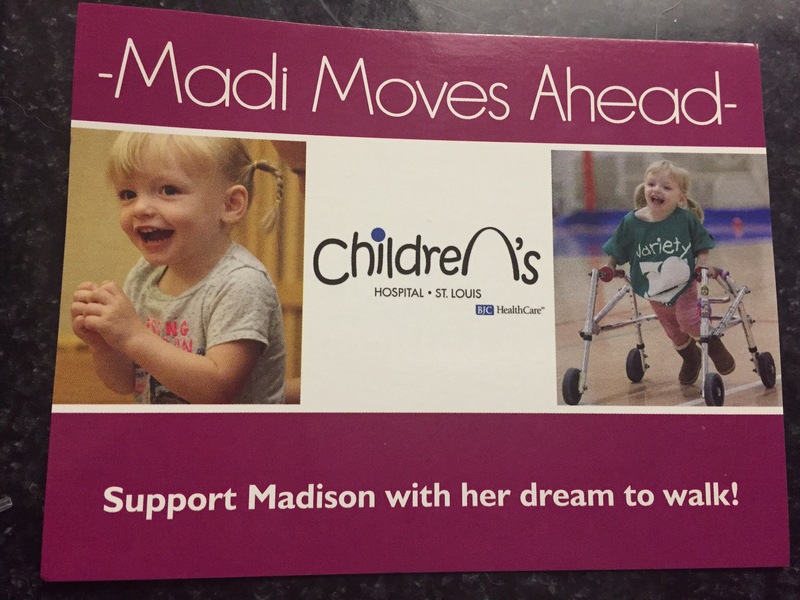 Thank you for helping Madison get closer to her dream of walking! If you are interested in handing out a postcard to co-workers, friends etc. 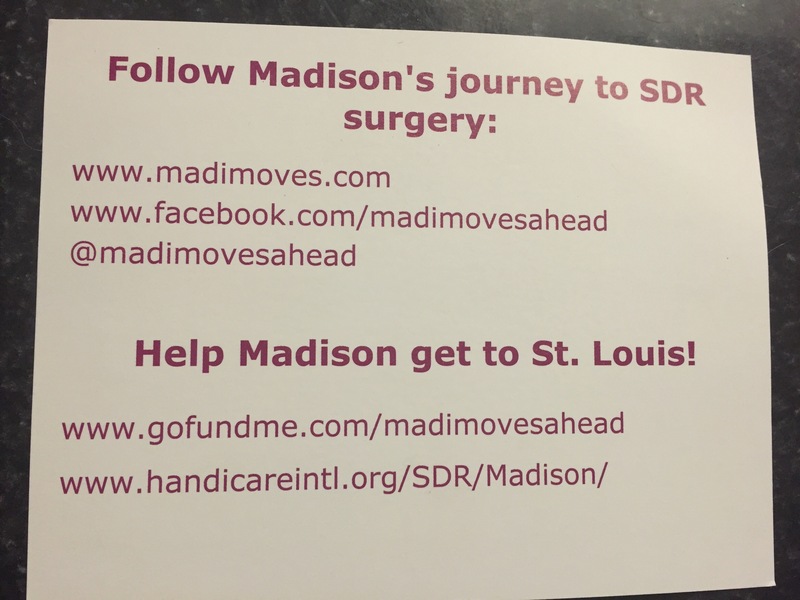 to share Madison’s Campaign please let us know and we will give you a stack.